Can That Killer Home Theater Add Value To Your Home? Many home owners dream of having a home theater – an entire room of the home dedicated to enjoying television and film. These rooms are usually equipped with a large flat screen television or projector, comfortable seats, mood lighting and perhaps even a bar or a snack fridge. They are very comfortable and the perfect place to relax after a hard day. They are also lots of fun for entertaining, as you will be able to watch the big game or the hottest new release with your friends in style. However, will spending the money on renovating your home to create a theater room be a smart investment? Does this type of home improvement add a lot of value to the property, or will it turn off potential buyers? These days luxury home buyers are becoming much more tech-savvy and they are demanding more networked or ‘smart’ homes than ever before. They are looking for a house which is outfitted with the latest in technology, so a modern home theater will be a desirable selling point. 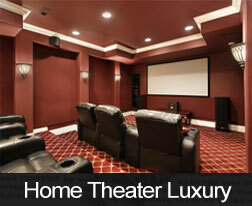 If you are targeting your home to this luxury market, the home theater could give you an edge over the competition. It is difficult to determine the amount that the home value is affected when you add a high tech home theater, but most real estate professionals will agree that when there are many houses for sale at any given time, the one with an impressive home theater room will be more likely to sell first. The only situation in which the home theater could detract from the value of the home is if it overpowers a medium sized or smaller home that just barely had enough space in the first place. If your home cannot spare the extra room, taking up a lot of space with a home theater will mean fewer bedrooms or living spaces and a potential decrease in value. However, you might be able to get around this problem with clever solutions that allow you to conceal the home theater unless it is being used. You could hide the large screen behind specially designed cabinets and set up the furniture so that the room can be a living space when not in use as a theater. Remember that a home theater system is something that will generally only increase the value of your home for certain buyers, as opposed to something like a bathroom renovation or a garage which will be valuable to almost every buyer. To find out more about upgrades that affect the value of your Houston home, contact your trusted home financing professional today. 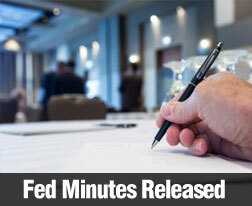 The minutes for June’s meeting of the Federal Open Market Committee (FOMC) suggest that committee members are mostly in agreement that the current quantitative easing program (QE) should begin winding down by year end, but the committee minutes are very clear concerning the committee’s intention to monitor inflation and ongoing economic and financial developments before taking action to reduce the current rate of QE. The Fed currently purchases $85 billion monthly in Treasury securities and mortgage-backed securities (MBS). Investors fear that if the Fed rolls back QE too soon or too fast, it could cause long term interest rates such as mortgage rates to rise faster. FOMC members also agreed that the Fed would not sell MBS it has accumulated after the economic support program ceases. When the Fed ceases QE, demand for mortgage-backed securities is expected to fall. If the Fed were to sell off MBS holdings in addition to stopping QE, MBS prices could fall sharply. In general, when MBS prices fall, mortgage rates rise. The FOMC minutes indicate that the Fed intends to maintain the Federal Funds rate at 0.000 to 0.250 percent “for a considerable time after the monthly asset purchases cease.” To be clear, the minutes do not reveal any specific dates for starting to wind down the program. Concerns over financial conditions in Europe highlight the Fed’s intention to monitor global economic developments were discussed. Potential “spillover” of negative sentiments in response to Europe’s economic woes to U.S. financial markets were seen as a potential threat to the U.S. economic recovery. Committee members found that although the economy showed moderate improvement since its last meeting, the national unemployment rate remains high at 7.60 percent. Members also noted that the numbers of long-term unemployed and those working part time jobs but wanting full time jobs remain higher than average. These conditions traditionally keep consumers from buying homes. Due to rapid increases in home values, the committee noted that fewer homeowners were under water on their mortgage loans. This is good news as homeowners can rebuild household wealth as their home equity increases. Having home equity also provides homeowners with the flexibility to sell or refinance their homes. While housing is driving the economic recovery, high unemployment will likely keep the Fed from changing its QE policy in the short term. Now may be a very good time to take advantage of still historically low mortgage interest rates before they rise. 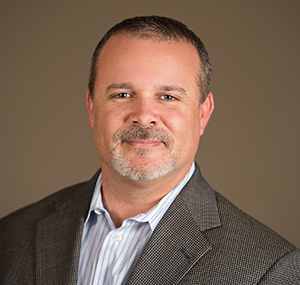 If you have specific questions on purchasing or refinancing your home mortgage loan and how these changes may affect you, please contact your trusted mortgage professional today. Is It Possible That Your Gender May Influence Your Home Mortgage Approval? If you are applying for a joint mortgage on your property with your spouse or partner, the name that goes first could have more of an impact than you might think. A 2010 study by the Woodstock Institute showed that mortgage lenders were inclined to show favoritism when men were the lead borrowers on joint applications. The study was undertaken within the Chicago area and it tracked joint applications for refinancing as well as home purchases. Over 250,000 applications were studied in the year 2010. Surprisingly, the study showed that home purchase applications that listed the female partner as the primary borrower were 24 percent less likely to be approved. When it came to mortgage refinancing, the application would be 39 percent less likely to be approved if a woman was in the primary position. The study was controlled in order to account for the size of the loan and the borrower’s income. The researchers at Woodstock are still carrying out more studies and analyzing their findings, but they say the results so far are quite troubling. They theorize that the discrimination might be totally unconscious and a symptom of wider discrimination against women. Many lenders have declined to comment, but Terry Francisco, President of Bank of America, claimed that there was no policy in the mortgage underwriting process that would differentiate based on the order of the applicants names in the documents. The findings are not complete enough at the moment to draw any conclusions. Additional data will be collected, such as age, credit scores, property values and much more in order to provide a more full and complete picture. Don’t change jobs right before applying. Lenders want to see financial stability, so it is better if you have been with the same employer for as long as possible. Repay your other debts, including your store cards, credit cards, overdrafts and more. Check your credit report. 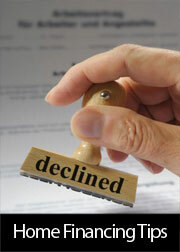 If there are any errors that are making your credit score lower than it should be, you may be able to correct them. Avoid making any large purchases on your credit cards while you are applying for a mortgage. When the lender looks at your credit, this could affect their calculations of your debt to income ratio. To find out more about getting the best home mortgage approval to buy or refinance your property, please feel free to contact your trusted mortgage professional today.